Dementia and Cognitive Decline: What is the natural course? Dr Steven Rudolphy from Mount Sheridan Medical Practice discusses dementia and cognitive decline. Find out what’s the natural course of dementia and what can be done about it. 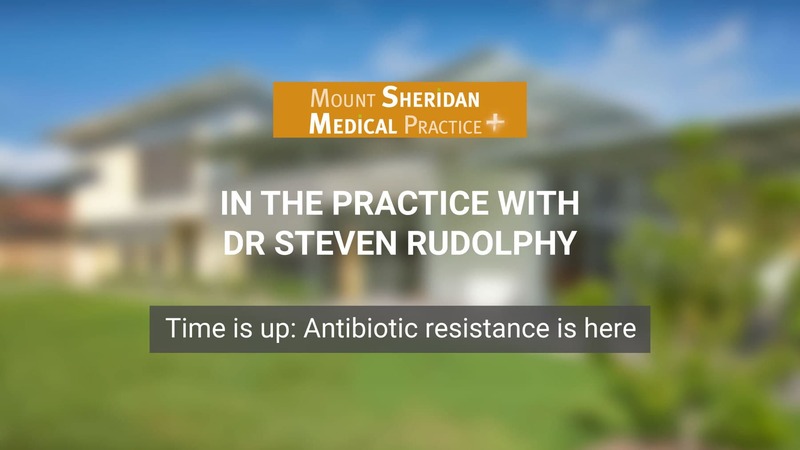 I’m Dr. Steven Rudolphy at Mount Sheridan Medical Practice. I’d like to talk a little bit about dementia, and what kind of leads up to it. It’s called cognitive decline. Dementia is quite a worry for people. We’re seeing quite an ageing population. Our nursing home that we look after used to be full of 70 and 80 year olds. Nowadays it’s full of 80 and 90 year olds and there’s usually a couple of 100 year olds. People are often not dying of heart disease, of cancers, of infections, like they used to. So, people are suddenly worried about dementia. And people come in thinking that their memory isn’t quite what it was. They sometimes come with their parents and say look, their parents are quite as sharp as they used to be, can’t remember names, maybe can’t remember places quite as well as they used to. And the lead up to dementia can be quite long. So, the family may notice changes for 5 to 10 years before we can really diagnose dementia. Dementia’s quite far down the track, you know. Is this … you know, what is this? They don’t know what it is. They don’t know the day of the week. They may not know who the prime minister is. So, that’s really quite far down the track. And they may have been leading up to that for some time. So, what do we do about this? We look for preventable causes of dementia. So, low levels of B12, low levels of thyroid can do it. If people are depressed, they often may have cognitive problems. So, we’ll often check for those things. There’s a couple of infections, something from the past, syphilis, and something newer, HIV. These can also cause dementia, and in certain cases, we’ll screen for those as well. ‘Cause they can be treated. So, if you do feel that your memory is going, or one of your relative’s memories are going, what can you do about it? As they always say, if you don’t use it, you’ll lose it. Just doing simple things, reading, writing, doing the Sudoku, doing the crosswords, keeping your mind busy, keeping active. What’s really been shown to be very useful is doing something completely out of your comfort zone. Learn a new language, go out and learn to dance, take up a new skill. Just trying to stretch your brain, does seem to really reinvigorate your brain and keep it going for a bit longer. All the usual lifestyle things, keep exercising, have a healthy diet, moderate your alcohol, all of these things are important in every aspect of your life and certainly in dementia. Now if things are really getting bad, the next step is to refer you to the memory clinic. This is at the Cairns Hospital. The doctors there will then make an assessment. And if they feel that this is really dementia, there are some medications which can help. They won’t get you back to normal, but they may … it may mean that you can stay at home for longer. People who are looking after you, their life is made easier. But the medications probably only work for somewhere between three and five years. And then, really, you end up back to where you started. It is not a cure, but it certainly helps you for a number of years. So, in summary, losing a bit of your sharpness, losing a little bit of memory later in life is pretty common. Not everyone will develop dementia. We can certainly screen for preventable causes of dementia, and if you do develop dementia, there are interventions. It’s a recurrent story, look after your health with a good diet, exercise regularly, keep your mind active, and these are the best things you can do to try and keep your mind as active as you can into your old age. If you would like more information or you would like to discuss dementia, click the button below.